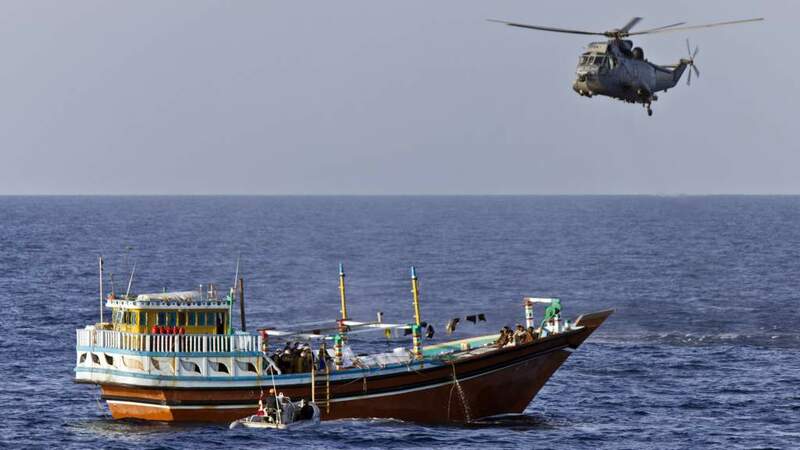 GULF OF ADEN – HMCS Charlottetown, under the command of Combined Maritime Forces task force CTF 150 (counter-narcotics) successfully disrupted an illicit cargo exchange in the Gulf of Aden, May 5. The skiff continued on a course towards the Charlottetown when it realized it was heading toward a warship, the crew began rapidly dumping the cargo. The helicopter was able to retrieve two packages from the water and the Charlottetown’s rigid-hulled-inflatable boat retrieved the remaining eight packages. All packages contained a total of 600 pounds of hashish. Once on board, the Charlottetown boarding team established the vessel to be stateless and carried on with an extensive search of the vessel under Canadian Law. Earlier in the day the same skiff was detected by Charlottetown’s ScanEagle Unmanned Aerial Vehicle (UAV) and was being watched for suspicious activity. This year alone, CTF 150 has seized nearly 700 kilograms of illegal narcotics with an estimated value of nearly $50 million. 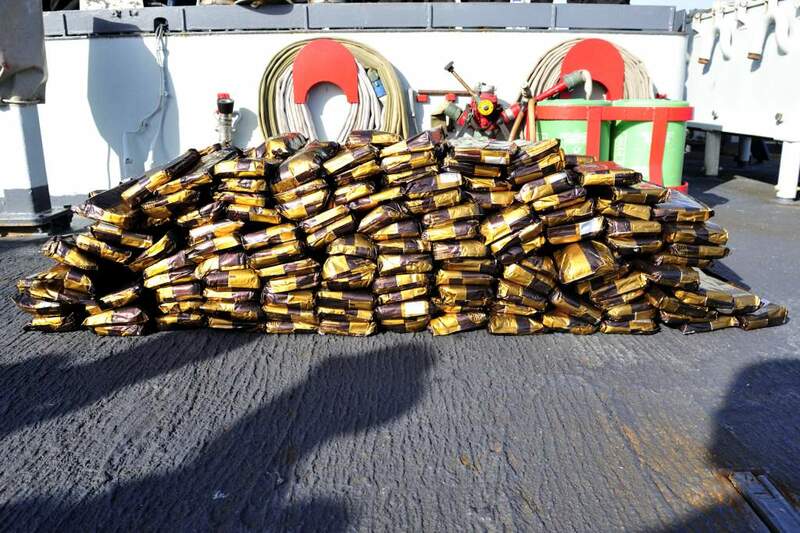 In April, HMS Westminster captured, and destroyed 180 kilograms of pure heroin, valued at $22 million. 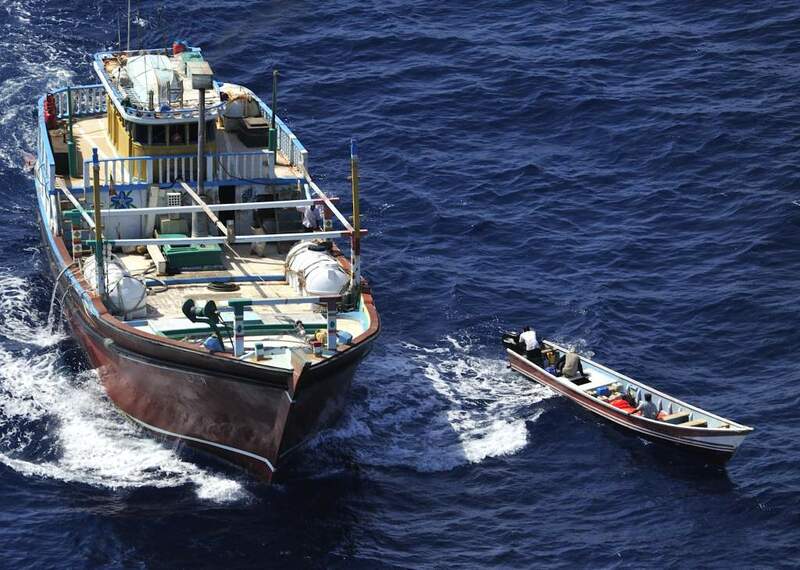 In February HMAS Paramatta seized 240 kilograms of amphetamines and heroin. CMF is a 26 nation naval partnership, which exists to promote security, stability and prosperity across approximately 2.5 million square miles of international waters covering the Arabian Gulf, the Gulf of Oman and the Indian Ocean; an area which encompass some of the world’s most important shipping lanes. CMF is comprised of three task forces. CTF 150 is assigned to counter-narcotics and counter-terrorism, CTF 151 conducts counter-piracy operations, and CTF 152 operates in the Arabian Gulf where it coordinates Theatre Security Cooperation (TSC) activities with regional partners, conducts Maritime Security Operations (MSO), and remains prepared to respond to any crisis that may develop.